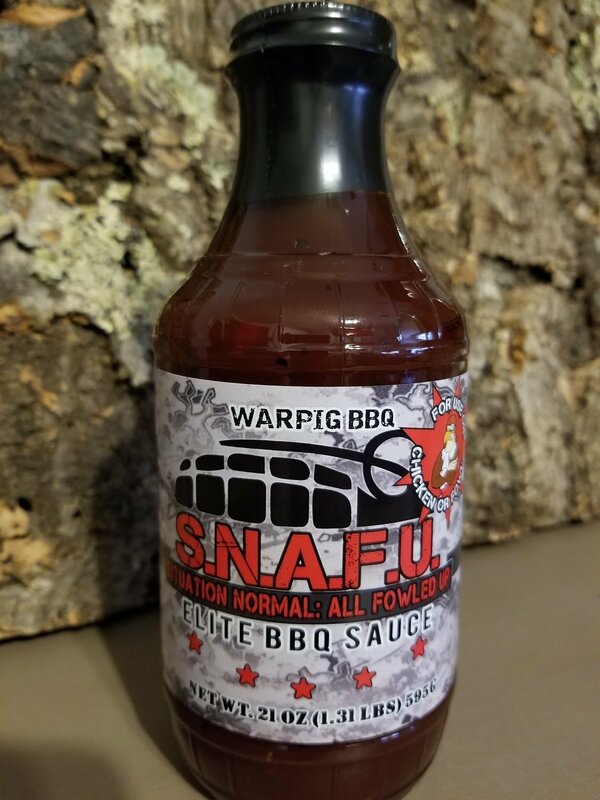 SNAFU: Situation Normal All Fowled up is the Elite BBQ Sauce for your chicken or fowl. With flavors of pineapple, orange and chipotle your chickens will be kicking with this beautiful mahogany glaze layered on top! And better yet, $0.50 of every bottle of SNAFU sold is donated to the Lone Survivor Foundation. The Lone Survivor Foundation provides theraputic services for veterans and their families affected by Post-Traumatic Stress, mild Traunatic Brain Injury, Chronic Pain,and Military Sexuaul Trauma.